When Does ‘Anxiety’ Become a Problem? We all have things that stress us out. We have a big meeting in the morning, worry about over-sleeping, and are awake all night. We worry that the outfit you have on is not ‘appropriate’ and check in with others ‘do I look ok?’ We really don’t want to go to a party with your friends and get nauseous just thinking about it and the idea of facing the crowds to go shopping makes the heart race. Hmm, well if this is a constant or growing problem, you may be experiencing a ‘Panic Disorder’. Prevention Magazine offers 7 Warning Signs that you may have a problem. And you know what? 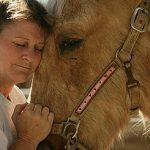 Work with horses can provide a lot of what may be needed! 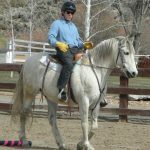 Certainly exercises and social support, as well as something not mentioned, learning and practicing self-soothing/calming exercises are all provided in Nevada Equine Assisted Therapy sessions. In a non-judgemental, yet gently challenging environment our clients learn and practice so many things! 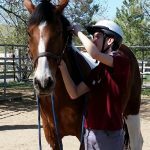 Leading, grooming and riding are all forms of physical as well as mental exercise. While grooming, which is a soothing and repetitive process, clients discuss with their Qualified Mental Health Associate (QMHA) what has gone on during the week and look at strategies for minimizing any issues. 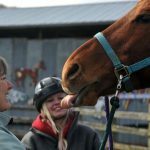 Not only is the QMHA there to offer guidance and support, but the bond that most clients develop with their horse can be very comforting as well. 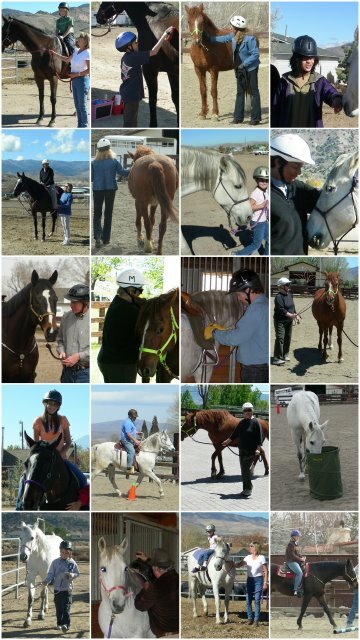 While doing mounted work, clients build self-confidence, practice decision making skills, are encouraged to be present and ‘in the moment’ while learning and practicing a variety of self-sooth/calming skills, all of which can help minimize anxiety! If you or someone you knows struggles with anxiety/panic attaches, there is help available. Give us a call (775)473-5548 or send us an email: neatinfo@yahoo.com. We will schedule a time for you to visit the ranch. We will show you around, introduce our incredible herd, learn more about what you are dealing with and share how we may be able to help. This entry was posted in Addiction, Anxiety Disorders, Depression, Eating Disorders, Grief, Mental Health, OCD, PTSD, Teens. Bookmark the permalink.